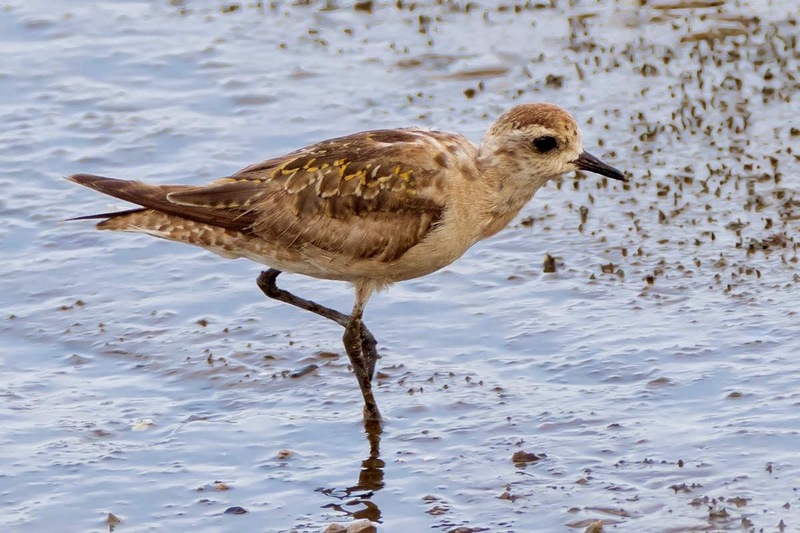 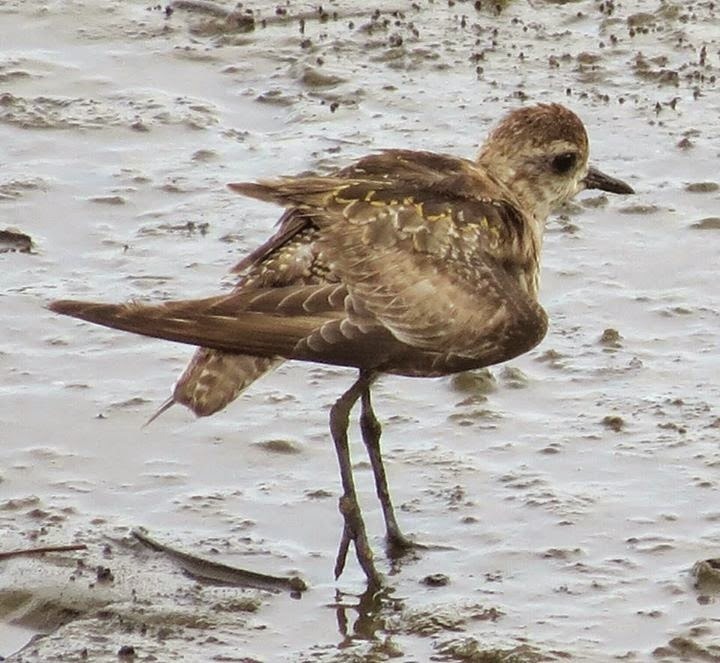 José Tejada, Rafael Lau and Niurka Castillo found an American Golden-Plover on the mudflats around the Panama Viejo Cathedral. 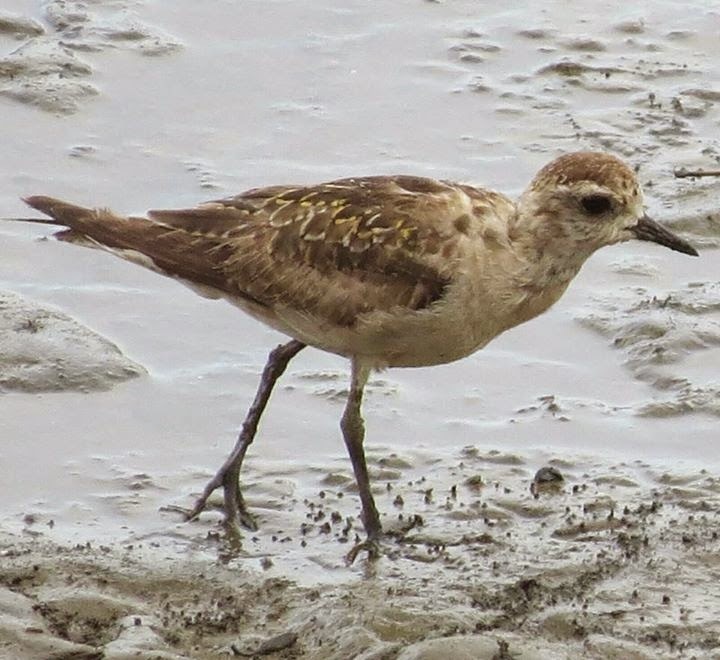 After we ended watching the American Golden-Plover at the mudflats behind the old Cathedral tower, we found possibly the same American White Pelican we'd been watching a couple months ago. 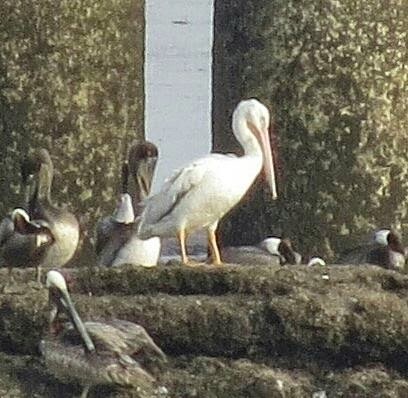 To my surprise, the pelican is at the same area as months ago and for a migrant it seems to be pretty confortable at the place it's been using; very cool to observe it again, and as before, a great opportunity to take some more pictures of it.